One of my favorite shows, Face Off, is having a werewolf episode! For those of you new to the show, it’s a special effects competition, and it rocks. They transform people into the most amazing and realistic looking beasties. In Tuesday’s episode (February 28, 9/8C) they are doing a werewolf episode – with a twist. They have done werewolves before, but those were normal werewolves. This time around, they are doing werewolves from another planet. Woo! I can’t wait! Personally I HATE team challenges. I like it better when they work alone on their own creation. But I am still geeked about an alien werewolf episode. Anyone planning on catching this episode? 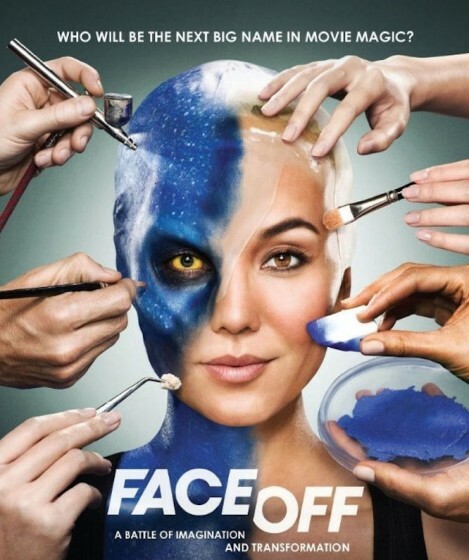 “Face Off is a competition/elimination series exploring the world of special-effects make-up artists and the unlimited imagination that allows them to create amazing works of living art. The contestants are tasked with elaborate feature challenges including executing full body paint make up on models and creating their own horror villain. Challenges incorporate effects make-up, and include a wide range of skill sets including prosthetics, 3-D design, sculpting, eye enhancers, casting and molding. Each episode involves incredible reveals of the contestants’ finished work, and the drama of one contestant being sent home by the panel of expert and celebrity judges. It all culminates in one winner and one grand prize: The opportunity to become a guest lecturer at the MAKE UP FOR EVER ACADEMY in New York and Paris, the 2012 Toyota Camry hybrid, and $100,000!